Like many competitive online games, Prismata has a variety of unlockable in-game collectible cosmetic items: unit skins, equippable emotes, and more. However, Prismata differs from many other games in that these items are not obtained randomly through pack-opening. Instead, players complete minigames in the Armory and Black Lab, where they have a choice of a number of different prizes. A consequence of this design is that by examining the choices that players make in these minigames, we can actually determine the most and least desirable cosmetic items. Sometimes, in large software projects, bugs appear for seemingly no reason, and efforts to fix them go absolutely nowhere. This is a tale of one such bug. It’s an ugly one. 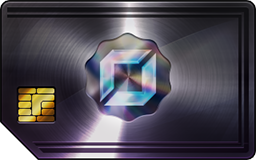 First, a small item: We have a brand new Prismata unit balance survey available. 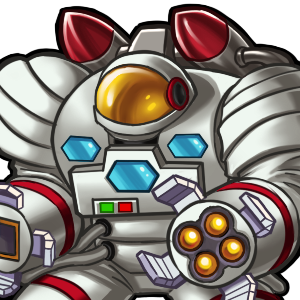 If you’re interested in providing feedback on the latest Prismata unit balance changes, we’d really appreciate it! It should only take about 5-10 minutes, though you could spend more time on it if you want. On with today’s topic: I figured it was about time that I explain one of the design concepts that has existed in Prismata since very early on in its development—the so-called “Shalev’s Rule”. There have been a number of questions posted on the topic (such as this one) and there’s actually quite a bit of misinformation floating around on the definitions involved. So I’m here to set the record straight, and explain a little about why the design rule exists, and how it influences our decisions in creating new Prismata units. Truth be told, we’ve never really discussed Shalev’s Rule much in public. Public knowledge has mostly leaked out through small mentionings here and there, which led to gradual (and rather incomplete) dissemination of the concept through the Prismata community. The rough idea is essentially “stuff that’s supposed to be good is never bad”, but the rule actually goes much deeper than that, and its implications in Prismata’s design induce a lot of really cool emergent properties. Obligatory random image that has nothing to do with the article’s contents… but it’s pretty awesome, agree? Coming soon! Just a quick note: I have a guest post up on /u/evanisvinks14‘s new web site, prismata.xyz. The site hopes to host a ton of community-written Prismata articles on a wide range of topics, and Evan is still accepting submissions. We’re very supportive of these types of community initiatives, so I’ve contributed myself by authoring a strategy article on Trinity Drone there. It’s here if you’d like to have a look. I look forward to lots of other great content on Evan’s blog. Evan’s been one of our greatest ambassadors, moderating our subreddit and giving out tons of keys. We owe him tremendous thanks!